This post is brought to you by CJ Affiliate’s VIP Content Service. While this was a sponsored opportunity from CIT Bank, all content and opinions expressed here are my own. Please visit CIT Bank’s website for details and disclosures. Have you ever been driving down the road when you noticed your car making a funky sound that wasn’t there that morning? Vet bills, home repairs, medical issues, job loss, vehicle maintenance — these are just a few of the reasons we save money. To provide security, to protect ourselves from the unknown. 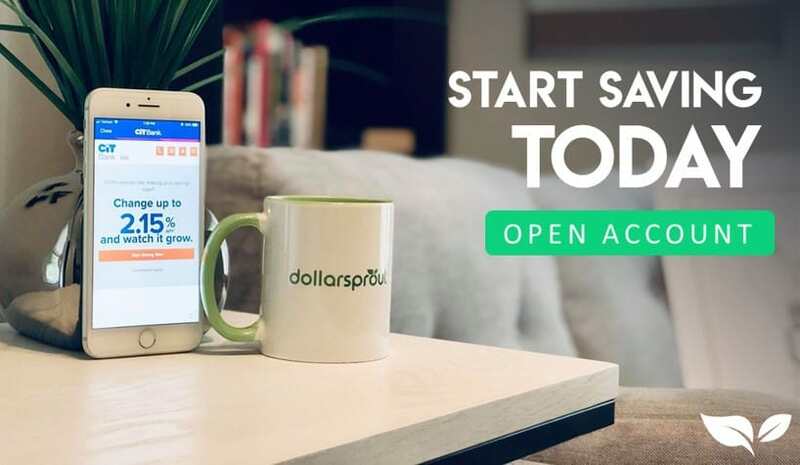 On the other side of the coin, we also save money to help reach our goals: home ownership, paying for college, retiring early, taking a much-needed vacation. Wherever you are in life, we all have a reason to save. Here’s the kicker: most of us are doing it wrong. A combination of formal education and personal experience have taught me that there are right ways to save money. And there are also some very, very wrong ways. There were times when I thought I was doing well with my savings and even built up a cushion of a few thousand dollars. Then several things would hit at once: a car repair, taxes, insurance, etc. And before you know it, my savings were completely depleted. Call it what you want — poor planning, a series of unfortunate events, pure naivety — but my savings journey was a roller coaster ride. Not the fun and exciting kind. The oh-my-god-how-am-I-going-to-pay-rent-next-month kind. After a while, I began to see why a staggering 57% of Americans have less than $1,000 saved. Even when I got there, it didn’t take long before I was back where I started. Fortunately, I learned from my mistakes. I cracked the code to saving, paying off debt, and making money less stressful. And now, as a financial coach, I now help others do the same. Today I’m here to share with you what I’ve learned so you can avoid my mistakes, skip the stress, and go straight into achieving your goals. I want to be clear up front — there’s no one right way to save money. Personally, I prefer the path of least resistance. Whatever method helps me achieve my goals with the least amount of effort is the one for me. If you can relate, then follow the steps below to set and achieve your own personal savings goals. I know I just told you I’m a self-professed lazy person, and now I’m telling you to make a plan; two seemingly contradicting statements. But riddle me this: how do you know what amount to save without getting into the nitty-gritty of your finances? 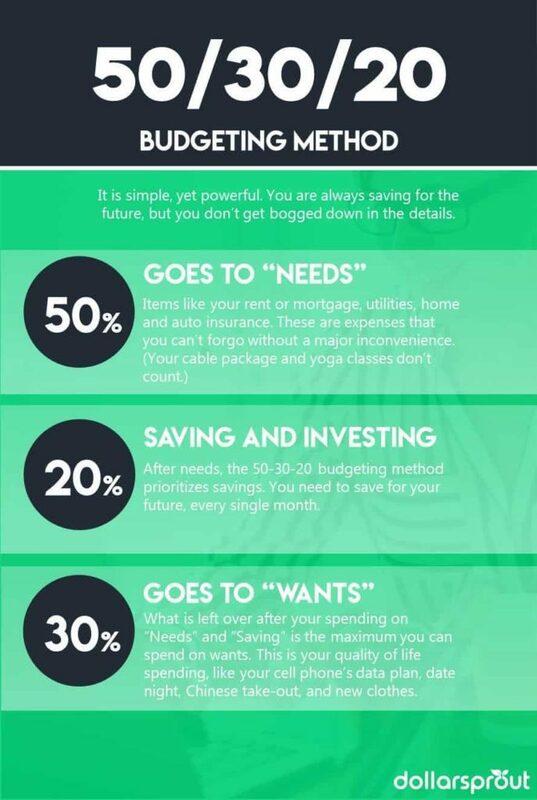 If you want to reach your savings goals (and in record time), then you need a budget. Making a plan for your money and tracking your progress will show you exactly how much money you have and where it’s going. It will also help you pinpoint areas where you could save, thereby helping you reach your savings goals even faster. Trust me, I’m speaking from experience here. Budgeting was a personal game changer for me. You don’t need a complicated system for your budget, but you do need to be proactive. In other words, looking at your past expenses is important, but always plan for the month ahead. Write down your monthly income, expenses, and which expenses will be paid from which paycheck. I use a simple Excel spreadsheet to plan my monthly spending and track my progress along the way. “I want to save money” is not a goal. What are you saving for? How much money do you need? By when do you want/need to have that amount saved? These are all important questions to answer when setting good financial goals, and ignoring them was one of the biggest mistakes I made early on. I used to pile all of my savings into one account. Why is that a mistake? Since none of those funds were earmarked for a particular purpose, I dipped into them whenever I saw fit: vacation, moving, when I made a big unplanned purchase on my credit card and didn’t want to pay the interest. As a result, I was always depleting my savings as quickly as I built it. I used to use method #1, but I got tired of tracking several accounts (I told you — the path of least resistance). Now I use method #2. Each time I make a transfer to my savings account, I add it to my Excel spreadsheet under the intended goal so I know exactly how much money I have saved for each. If your savings account is with a traditional bank, then you’re likely missing out on some passive income in the form of interest. Since online banks don’t have to deal with the overhead costs of managing brick and mortar branches, they’re able to offer much higher interest rates than traditional banks. In order to qualify for this top-tier savings rate, you either need to maintain a balance of $25,000+ or deposit at least $100 into your account every month. If you’ve already gone through steps 1 and 2 above, that should be fairly easy. This may seem like a trivial difference at first, especially if you’re just starting out and don’t have much saved. However, those interest payments add up quickly. Since making the switch, I’ve earned over $100 more in interest every year than I did with my brick and mortar bank. This step is crucial to reaching your savings goals. I used to lump all of my savings together and take money out whenever I found a use for it. Once I started setting goals for my savings, I separated my emergency fund from the money I was saving for individual goals like Christmas, vacation, and annual insurance payments. Spoiler alert: it was a complete game changer. I had a habit of dipping into my savings accounts, and one of the techniques I’ve learned over the years about breaking habits is to create small amounts of friction. In order to make my money slightly more inaccessible, I moved my emergency fund to a separate online savings account. Having my savings at a different bank meant that I couldn’t log into an app and transfer money straight from my savings account my checking and have it immediately available. CIT Bank’s Savings Builder account is perfect for breaking this habit. Depositing money into your account is easy. I prefer ACH, which is like writing an online check. However, you can also make deposits for free via wire transfers or by mailing in a paper check. Removing money is a similar process — ACH or wire transfer — but comes with a $10 fee. I don’t mind the fee because it creates an additional layer of friction, forcing me to break a bad habit. Not only am I earning top-tier interest, but I’m also removing the temptation to dip into my savings account unless it’s an actual emergency. Speaking of habits, it’s out with the old, in with the new. You’ve probably heard the advice to “pay yourself first.” I used to think that meant to treat yourself first — set aside money for shopping, eating out, that sort of thing. As it turns out, that’s pretty much the opposite of what it means. The idea is to pay your future self first or, in other words, set aside savings before figuring out the rest of your budget. Oftentimes, that’s easier said than done. David Bach, author of The Automatic Millionaire, became a millionaire by age 30. His secret? Automate your savings and increase your contributions over time. By automating your savings, that money leaves your account before you have a chance to touch it. 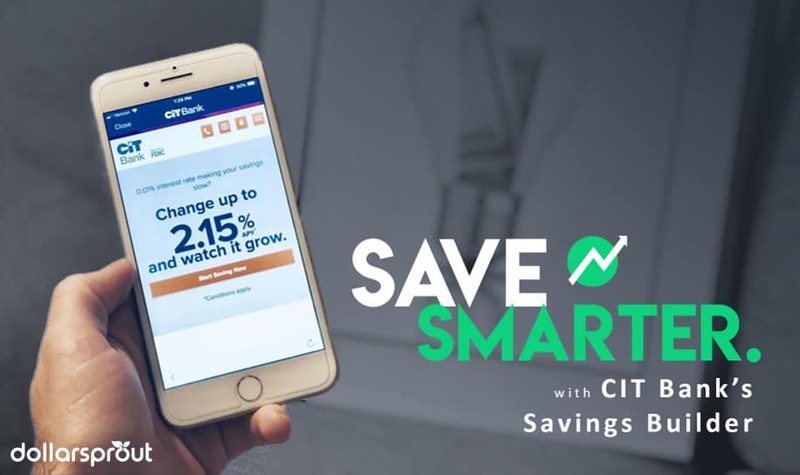 CIT Bank offers an additional incentive to reward good savings habits. With the Savings Builder account, you can earn their highest offered interest rate by depositing at least $100 into your account every month. You’ll need to set up an ACH payment from your checking account to your Savings Builder account. It’s free to receive an ACH with CIT Bank, and many banks don’t charge for sending these payments. However, be sure to check with your bank regarding any fees associated with these transactions. Most of us aren’t taught how to “do” money when we’re young. We get older, make mistakes, learn from them (hopefully), and use those lessons to build better money habits. But, if we’re fortunate, we can skip a few steps by learning from other people’s mistakes. As the “other” in this scenario, here are my hard-learned lessons for you: create a plan for your money, set clear goals, maximize your interest with a high-yield savings account, separate your emergency savings from short-term savings goals (and leave it alone), and pay your [future] self first. Change typically doesn’t happen overnight. However, if you do follow the steps I’ve outlined here, I have faith you’ll hit your savings goals in no time.